I REALLY made them just for fun and mostly for myself-then I figured if you per- ordered the book it's like a bonus or a thank you. Had zero idea that people would want to buy them. So I have to apologize I blew it. I'll make some more for the July 16 2012 drop! And I'll make the game more complete. There was ONLY 14 cards to the original set. So I made the game funner! Yes BASICALLY there's now 30 to the GAME. I USE to make these cards BY hand-hahaha--I'm funny! 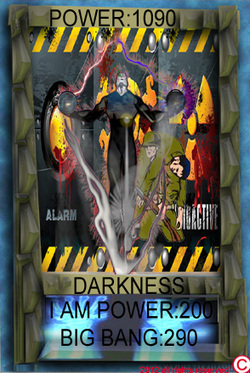 Though I am starting my own blog on the Card Game and putting some of my back issues of my newsletter that I distributed locally-I have about 12 issues--it's aptly called "WHAT THE--" its all about comics, movies, entertainment & life. It's another thing that started out as fun and went much farther than I thought it would. I've been doing for about a year and it's VERY fun! THE RANGER-CORE-from deep in our galaxy to our home-EARTH. The events will leaving you guessing till the very end. Inhabitants of Earth open the Pandora’s Box to THE UNIVERSE. Worse THE RANGERS are saddled with the reality that heroes seldom prevail and it's your mission to rise up against impossible odds-No, I am NOT talking about winning-no miracle comebacks here. Nor will things happen simple for shock value. A writer must strive to tell truth. 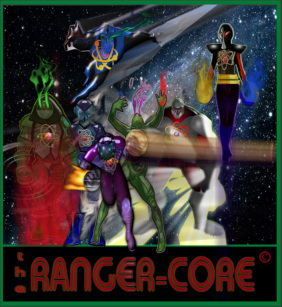 Yeah, The Ranger Core are the real world, African, Latinos & Asian & Indians and sometimes that's just a terrible thing. There’s THE BIG BANG MACHINE, HYPER NOVAS & THE PLANET X -all real and ALL very very dangerous. Its all things we better start thinking about.. With the backdrop of THE RANGERS having nano-technology suits from "The Lost Dimension" and have incredible and fun powers facing down foes that would make most comic book villains cringe-perhaps even faint.